Yes another exploration and exercise on graph modeling. This time about something I often use… the Cloud: Microsoft Azure. 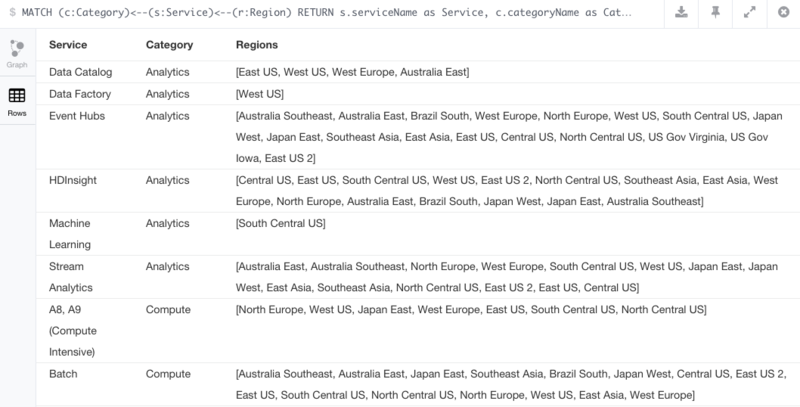 Thought it would be interesting to model the available Azure Cloud Service offerings by category, region, and location. The inspiration and data comes from the following source of information on the following web page http://azure.microsoft.com/en-us/regions/#services. A trivial one, but useful for demonstrating and understanding concepts. This is also a great example of how to store master data and discover new insights in existing data. Let’s visualize it! A Region ‘East US’ is in a Location ‘Virginia’, that Region offers a Service ‘Stream Analytics’ and that Service belongs in a Category named ‘Analytics’. Also a Service could be a parent or child of another Service. From that analysis we can create the following model. Using the CSV files will be using Cypher’s LOAD CSV command to transform and load the content into a graph structure. 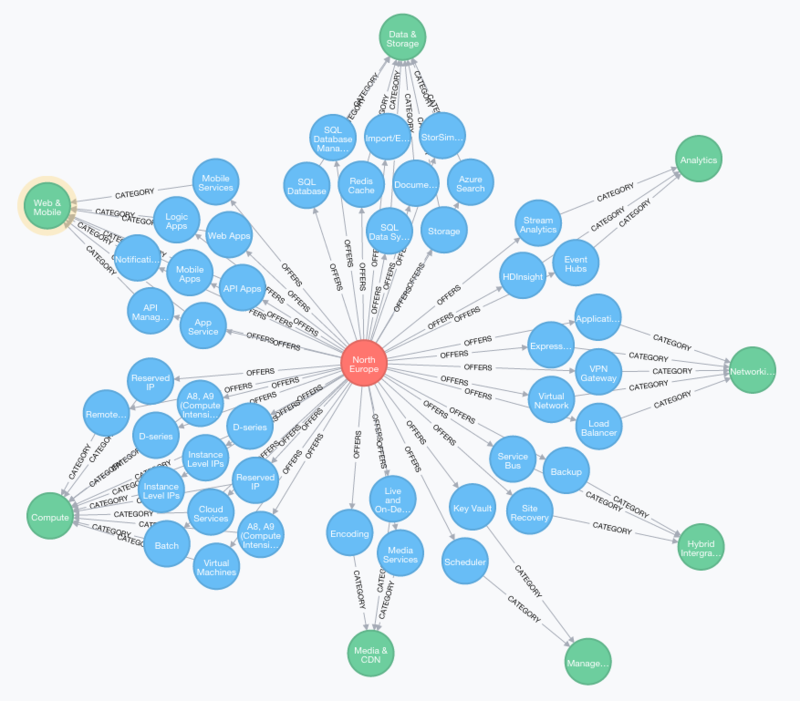 The following is the Cypher script that creates the indexes, constraints, nodes and relationships for our graph. // Regions that offer the service Machine Learning?